FirstLight understands how difficult it can be to bring someone new in to help with your elderly parent or loved one; after all, you know and love them best. So we understand that you are our best resource for reaching our common goal: to help provide them with the most meaningful and independent life for as long as can be sustained. We also understand that your loved one is more than just a client, they are a person and we take the time to get to know them. Our role is to assist your loved one and you with senior care and companion care services in Pearland, and we strive to ensure that they and you take comfort in our caregiving. We maintain consistent communication and offer transparency at every stage to set your heart at ease that your parent or loved one is being cared for as lovingly and gently as you would. 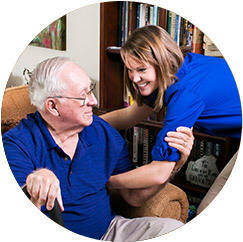 FirstLight Home Care of Pearland provides in-home non-medical senior care and companion care. We offer assistance bathing and with personal hygiene as well as continence care, walking and mobility, household tasks like food preparation and mealtime assistance including special diets, and basic tidying up and laundry. 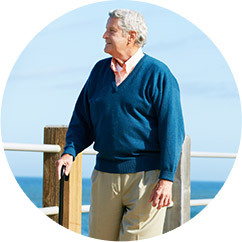 We offer short and long-term care to fit any situation and can provide care 24 hours a day, year-round. 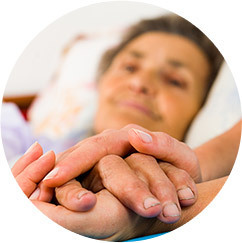 We provide our home care services to people at any age, in any situation. We assist seniors who simply need additional assistance to maintain their independence, people with chronic illnesses, families managing special needs or disability care, those recovering from medical issues such as illness, surgery, or childbirth, and even the families of deployed military personnel. We also provide companionship for those who just need someone to chat with. There is no substitute for independence. The physical benefits of in-home senior care and companion care allow seniors to extend an active lifestyle in their Pearland home. They are also able to go at their own pace on their own schedule and maintain a level of mobility that often deteriorates in a facility. Emotionally, staying in the home can stave off depression, feelings of isolation and futility, and eliminates mourning the loss of independence. FirstLight caregivers are available to assist in nursing homes, assisted living facilities and retirement communities to provide an additional layer of care and ensure that all needs are being met no matter the living situation. 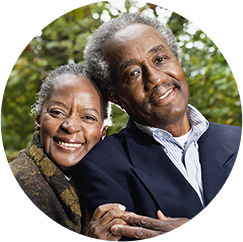 Things we assist with include helping to run errands, setting and attending appointments, regular visits and company, and recreational activities like going to a concert, playing games, or going out to eat. Our caregivers are also available to clients in Friendswood, Webster, and Clear Lake.